Howdy, folks. 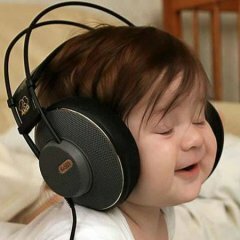 For the longest time, I had stereo in my bedroom/office for music, and surround sound in my living room for TV and movies. 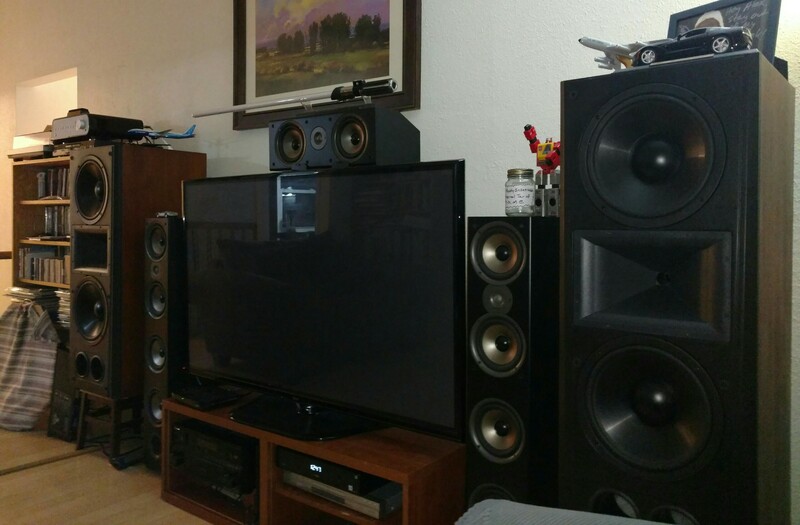 But I've always wanted to have a good music system in the living room, too, where I'm not forced to use something more geared to near-field listening. However, my Pioneer Elite VSX-84tsxi, a great home theatre receiver, is less accomplished in stereo mode. So I was forced to set up a separate system. In my quest to populate it, I fell in love with the Epic line, specifically the version 1 CF-4, resulting in the crowded photo, seen above. I paired them with all sorts of amps/receivers, ranging from the late 1970s to the early 2010s, and they all fell short of expectations. So, after a lot of research, I finally bought a lightly used Peachtree Audio iNova integrated amplifier. It sounds amazing! Plus, one of its aux inputs has a bypass circuit so it can be integrated into a home theatre! A few years ago, the wall in the accompanying photo was a lot less crowded. I can now remove the Polk Monitor70 mkIIs (the ones cowering between the Epics and the TV). However, I bought the CS2 center channel because it's “voice matched” to the 70s. I know the best center channel replacement to go with my CF-4s would be the hard-to-find KV-4. Any decent alternatives? The KV-3? Something more recent, like the RP-25C or RP-250C? The most decent alternative to the KV-4 would be the KLF-C7, followed by the Academy. The C7 is going to be the most similar of the center channels and should pair nicely with the CF-4's. They are readily available between $200 and $400. When I had my CF4 and CF3, I wanted to hear what a CF1 or CF2 would do as a center. 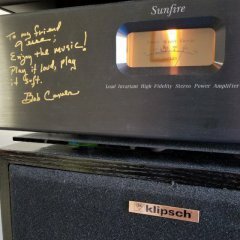 I'd recommend the KV-4 because of timbre matching or the RC-7 as an alternate option as I believe it to be the best Klipsch has to offer in the form of a dedicated center speaker. 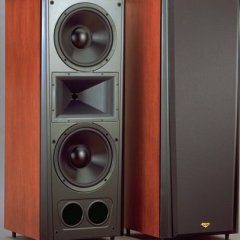 It has a nice, large, detailed sound to it with very clear dialogue, which is hard to find in the lesser center speakers. I've never matched one up to the CF-4's but did run one with my Chorus II's for a long time and I thought it was the best out of all that I tried. While I found the KLF-C7 to be a nice step up from the Academy, I still preferred the KV-4 and RC-7 over it, with the RC-7 taking the KV-4 with relative ease. I've had both of the newer RC-64's and while the 64 II had the same detail and clarity as the 7 it severally lacked bass response not giving voices and what not the same weight as the 7. Since you have the CF line I'd be patient and wait for a KV-4 to pop up for a perfect timbre match, they really aren't that uncommon if you keep an eye out for them. I am currently selling a KV-4 in the Garage sale forum if you are interested. The best center is the one that is designed to go with them, the KV-4, be patient and get the correct one. Don't waste money on a compromise. None of the other's recommended will be a timbre' match to your CF-4's. Yeah, I remember, and it looks lovely. Normally, I'd be all over it, but a drive up to New England from Northern Virginia is not really in the cards for me, right now (even though the autumn foliage must be starting to arrive). Way too much on my plate to spend all that time on the road. Yeah, I'm inclined to agree with you. I guess the Polk CS2 will have to suffice until I can snag a KV-4.